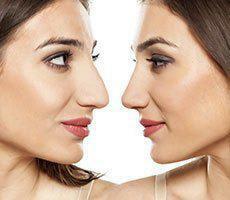 The nose is the centerpiece to the entire face. 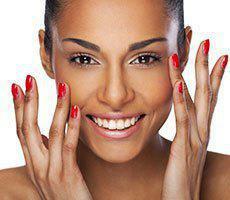 The size and shape can cause your nose to be the focal point of your face, or create a beautiful balance and harmony. An aesthetically beautiful, balanced nose can be achieved two ways: a traditional rhinoplasty or a non-surgical rhinoplasty. 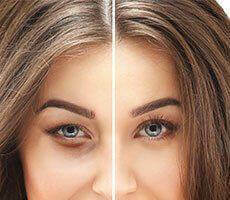 Santa Monica patients who do not wish for a traditional rhinoplasty procedure, or nose job, can experience similar facial improvements without scarring or surgery. 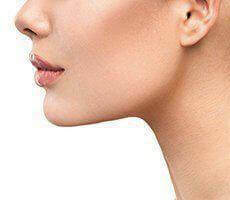 A non-surgical rhinoplasty is a simple, non-invasive procedure that involves injection of dermal fillers such as Radiesse®, Restylane®, or Perlane® to correct or enhance features of the nose. A non-surgical rhinoplasty can fill depressions, restore symmetry, define the tip, raise the bridge of the nose, and make the nose appear smaller and more aesthetically attractive. Dr. Youssef carefully considers what will be the best option for each of his patients. People visit YOUnique Cosmetic Surgery to achieve results they will love. 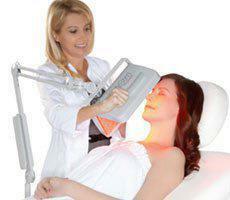 Request a consultation online or call our office for more information. A non-surgical rhinoplasty, or nose job, in Beverly Hills is a simple, non-invasive procedure that is performed in the office. You will be awake and alert during the procedure with the added benefit of being able to look in a mirror during the treatment to help control the final results. 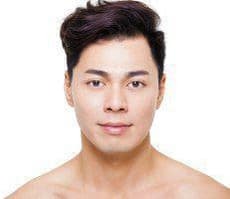 A non-surgical rhinoplasty is a great alternative for patients with minor to moderate nasal imperfections who do not wish to undergo surgery. Patients can expect redness, swelling, bruising, and bleeding at the injection site. Here at YOUnique Cosmetic Surgery, we recommend patients to stop taking Aspirin, Ibuprofen, Motrin or other NSAIDS at least 1 to 2 weeks prior to injection. Also, we recommend patients to begin taking Arnica and Bromelain a couple days before the treatment. This helps to reduce bruising and swelling. With that said, this procedure is not for everybody. It is important to consult your surgeon and discuss the pros and cons of a traditional rhinoplasty and a non-surgical rhinoplasty to determine which option is best for you. As with any cosmetic procedure, both traditional rhinoplasty and non-surgical rhinoplasty have associated risks of complications and undesirable results. 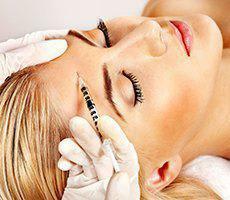 Therefore, it is extremely important to consult with an experienced and trained surgeon like Dr. Mark Youssef at YOUnique Cosmetic Surgery.